I wake up with an elbow nudging me in the side "I think I have found our next boat" After our abortive attempt to buy Truant of Sark in March. We made two trips to Palma Majorca and arranging funding but were out-bid so we decided keep saving and wait until 2019 and begin the search again…. well that plan didn't go well. 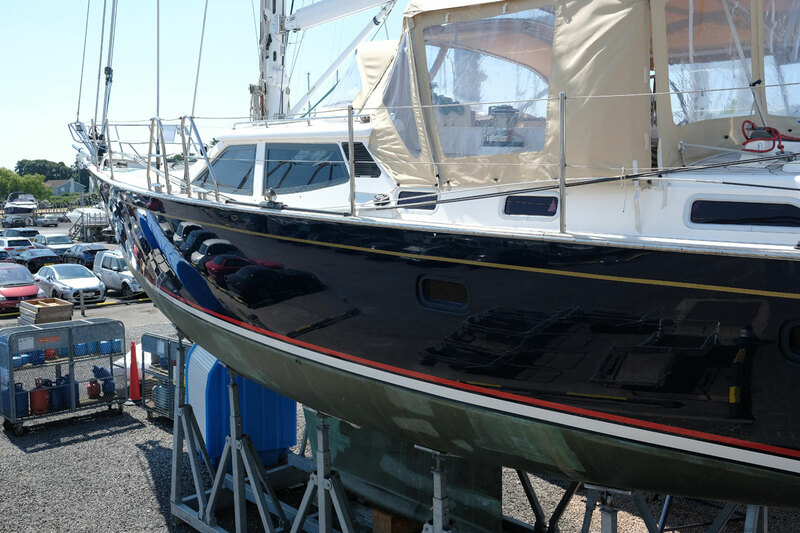 "Here look at this it has just been listed on the Berthon website" a lovely looking blue hulled 2006/7 Discovery 55 Sea Crusader. I phoned Alan Mcilroy on his mobile and on Saturday morning we have an appointment to view the boat. Saturday arrives and we step on board and it is like a home from home only bigger. The interior is cherry and blue alcantara exactly like Diamond Blue, unbelievable. So there was nothing else to do but make an offer. The boat had been lightly used with only 1800 hours in the engine with is not bad for a 10 year old boat. The sellers had kitted the boat out for a circumnavigation but had been unable to proceed.